Your Own Android and iOS Platform Restaurant App! App India Company is one of the renowned mobile app development company offering affordable yet effectual mobile app services in an efficient manner. 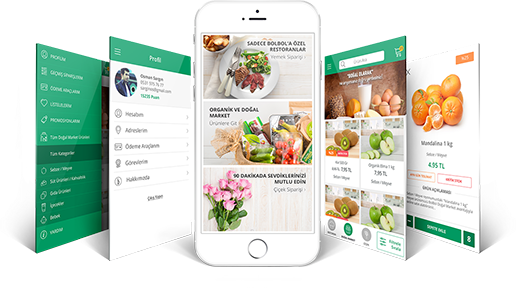 We help in designing and developing mobile apps for the Restaurant owners to speed up their business enlargement and deliver most excellent online results for the restaurant business. 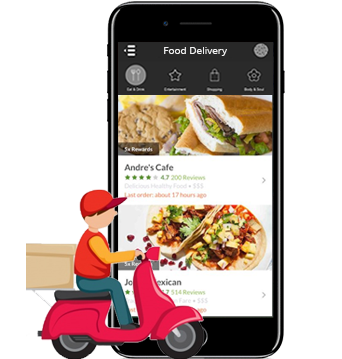 Our mission behind Online Food Ordering Mobile App thought is to make sure a quick and most excellent quality food delivery to your customer’s right at the effortlessness of their doorstep. Nowadays, individuals decide their food menu over mobiles only and consequently, it is imperative to serve your business online with the help of an Online Food Ordering App Development otherwise, you may pass on your customers to your competitors. We at App India Company let you represent your Restaurant business online with the help of a well-designed and customized Mobile Food Ordering System. This further lets you showcase your features, menu, services, restaurant’s photos, and specialty in the middle of a variety of cuisines or any other connected information on the go, thus increasing your business reach. Get Restaurant App Development services and online food ordering system from App India Company in both Android and iOS stores. Mobile apps have previously been creating ripples in the retail business and restaurants are not at the back. Restaurant mobile apps have forayed in the app ecosystem recently and have by now made their charisma felt. Do you want more dedicated customers? Create and distribute soon-to-expire coupons to drive traffic and boost repeat visitors. Help customers to get each and every notification on their mobiles with the help of push notifications. Directly connect with diners and help your guests to know about a happy hour and seasonal specials. Show the ambience, past functions or events, or your most loyal customers in your gallery. Showcase all your items and mostly what counts most, your delicious food, cocktails, and desserts. YES OF COURSE! If you want to feature all the details like locations, emailed, phone number and driving directions – our expert Restaurant App Developer got you covered there, too. As a restaurateur, if you are planning to perk up your online food ordering system for your restaurant; please contact at App India Company to expand your business with our Restaurant App Builder services. With more than two billion of mobile users, an app is today the most excellent way to endorse the restaurant. We, as a leading mobile app development company, make sure all your requirements are met in their entirety.